Chances are you’re familiar with the Herman Miller Aeron chair. It’s the most iconic and popular ergonomic office chair on the market today. Aeron’s durability and dependability, as well as its price point and demand, have created a thriving resale market. In this article, we’ll provide tips and advice on how to go about deciding whether a new or used Aeron chair is right for you. We’ll also provide other important information like how to distinguish a reseller from an authorized retailer as well as how to avoid a Frankenstein Aeron chair. 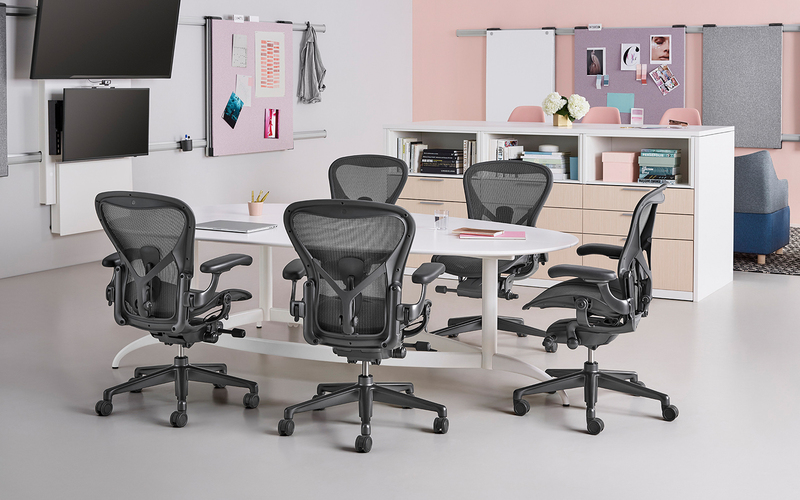 The Herman Miller Aeron chair is a high-quality piece of furniture that is built to last. One of the biggest reasons people often look for used Aeron chairs is because of the price. 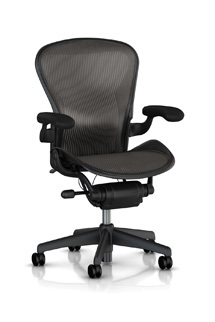 With a used Aeron chair you have the potential to save hundreds of dollars. However, no matter how well built a product is, eventually things can and do break. It’s important to weigh a number of factors when deciding whether you want to purchase a used Aeron verses a new one, the biggest one being the chairs age. When you purchase a new Aeron chair, it comes directly from the manufacturer and has never been owned or used. However, when you purchase a used or refurbished Aeron you get no guarantee of how old that chair actually is, or how well or poorly it was taken care of by its previous owner. It’s not uncommon to see 8 to 12-plus-year-old chairs (even as high as 20 years) on the resale market. The older the chair the greater the chance something will go wrong with the chair and that your recently purchased Aeron will require a repair or warranty claim. 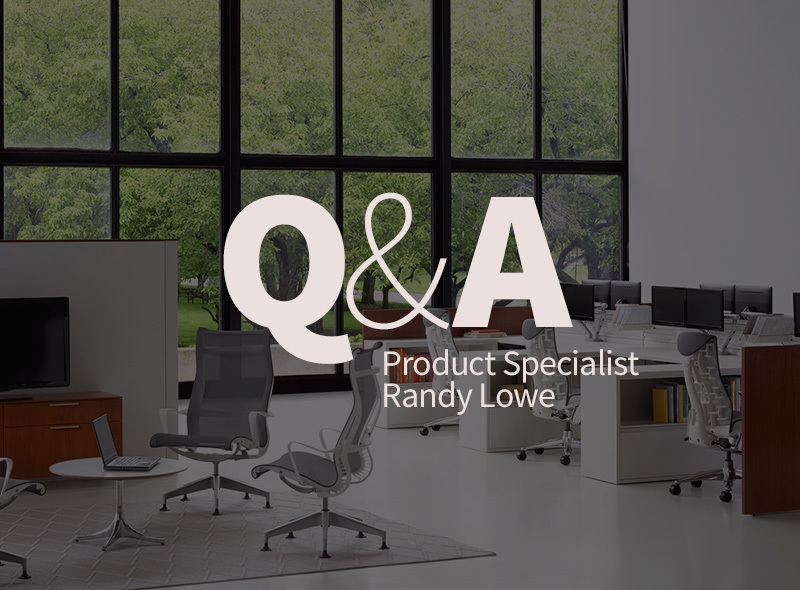 TIP: How To Determine The Age Of An Aeron Chair? If you want to know how old your chair is, look at the bottom of the chair. Underneath the seat of a new authentic Aeron chair, there is a sticker that will list the manufactured date as well as other specific information needed to warranty your chair. On used chairs, that sticker is sometimes removed to hide the chairs age. TIP: What’s The Difference Between Used and Refurbished? Sometimes sellers refer to used chairs as refurbished. A refurbished chair is still a used chair. It just means that it has undergone inspection and that anything broken has been fixed or replaced and the appearance of the chair has been cleaned up. Look for an Authorized or Official “Herman Miller Retailer” when shopping for an Aeron chair. When purchasing an Aeron chair. Make sure you’re buying from a reputable seller. 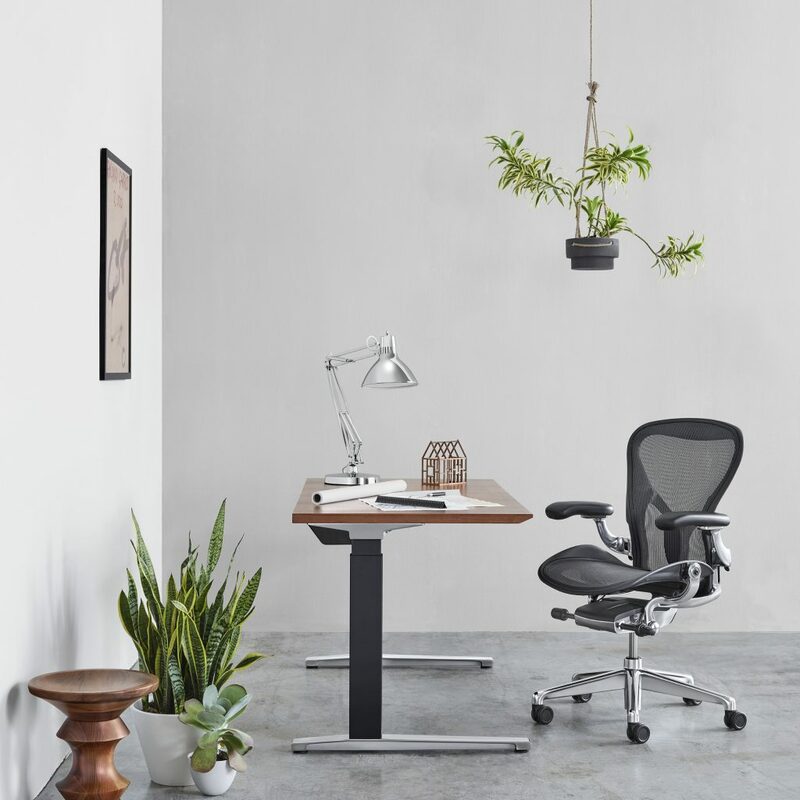 Retailers that carry the “Authorized” or “Official” Herman Miller Retailer title have been vetted by Herman Miller and approved to sell new factory-direct Aeron chairs. If a business is not an authorized retailer, then it is a reseller. This means the product is either used or a reproduction and not manufactured by Herman Miller. Some authorized retailers do sell used Aeron chairs through their outlet or clearance stores (for example, Office Designs Outlet). While these chairs do not have a Herman Miller warranty, as an official reseller they do use new Herman Miller parts to refurbish their chairs. These chairs are referred to as Certified Pre-Owned Aeron Chairs. Certified pre-owned chairs go through a 29-point inspection and refurbish process. This ensures higher quality used chairs than what unauthorized resellers might offer. CAUTION: If you’re considering a seller that isn’t authorized or official, be mindful that it won’t come directly from Herman Miller and isn’t guaranteed to be genuine or use all genuine Herman Miller parts. Unauthorized resellers might even avoid listing the fact that their chairs are used. So you might think you’re getting a new Aeron chair when in fact you’re getting a used chair. TIP: How To Know If Your Seller is Authorized aka Official? 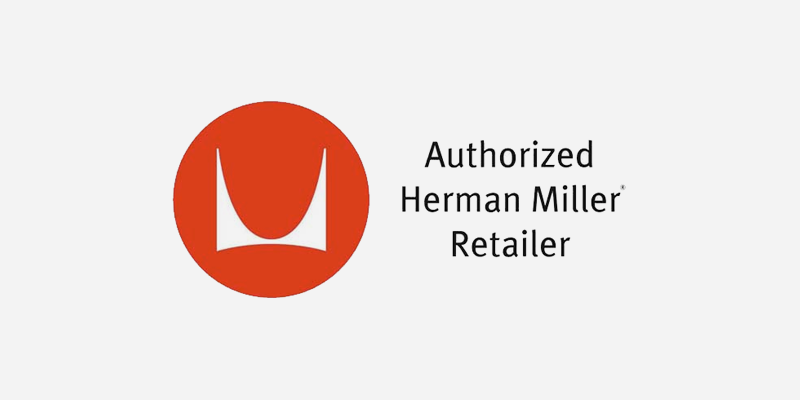 Look for the Authorized or Official “Herman Miller Retailer” badge. You can also look at Herman Miller’s website where they list their authorized retailers. When considering a used Aeron chair versus a new chair consider the kind of warranty backing it. Not all warranties are created equal. Buying new from an authorized retailer guarantees you have a full manufacturer backed 12-year warranty. If your Aeron needs repair at any time in the next 12 years any authorized repair center will ship and service the chair at no cost to you. When you purchase a used Aeron chair a reseller may offer their own warranty from 0 to 12 years. Warranties vary from reseller to reseller but none are recognized by the manufacturer and servicing is dependent upon the reseller honoring it. Because a used Aeron chair’s warranty is serviced by the reseller it’s a good idea to make sure you trust the reseller. A used Aeron is already an older chair which makes the chance of a part breaking more likely. We recommend reviewing reseller warranties in detail and see if you can find reviews from other customers that had their chairs repaired and warranties honored. Price depends largely on your choice of configuration options. 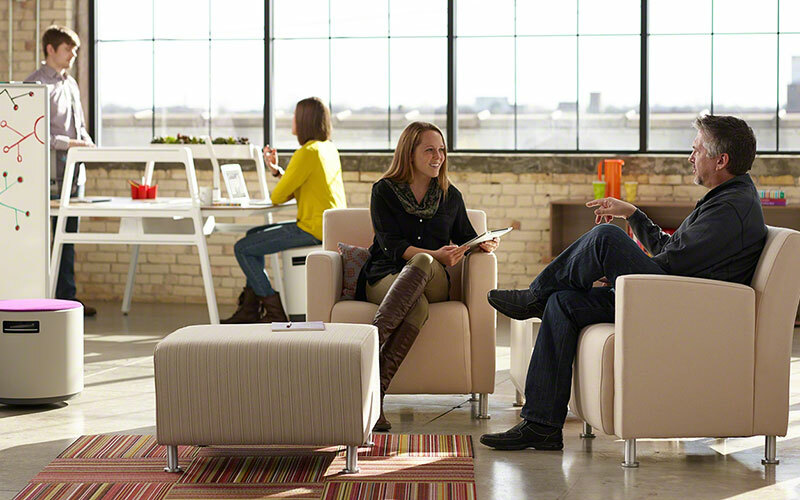 A good office chair should be considered a long-term investment — like a home appliance or a car. Aeron is guaranteed to last 12-years but often people keep them much longer. While used Aeron chairs can be more affordable you also assume more risk in that purchase. Often retailers and resellers will list the lowest configuration price. This is often a configuration without arms or many of the ergonomic adjustments most of us want on the chair. Just be mindful when trying to price shop that you’re matching the right configurations and pricing together. Some unauthorized resellers will mix and match old chair parts to assemble a full Aeron. They’ll even spray paint the frame to hide wear and tear. We call these Frankenstein chairs. The safest way to avoid them is buying a new chair from an authorized (aka official) retailer. However, if a used chair is still your best option, make sure you shop around for the best reseller. We recommend you consider going with Certified Pre-Owned Aeron Chairs from an authorized retailer to ensure you’re getting a chair with genuine parts that have been reviewed by certified technicians. 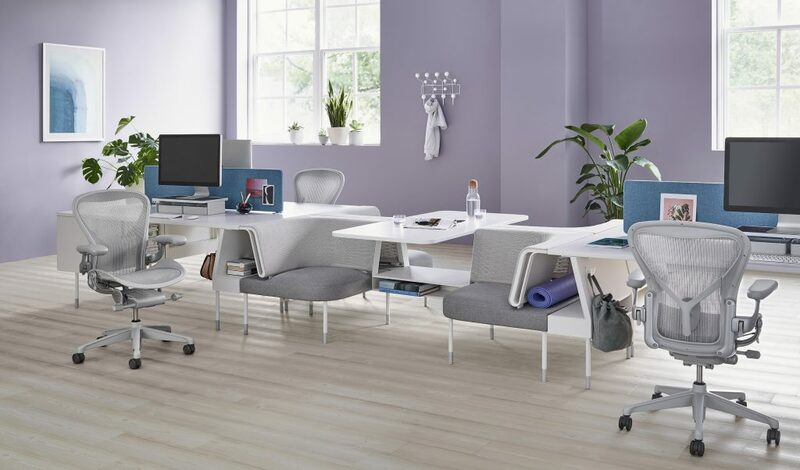 Office Designs has been an Authorized Herman Miller Retailer for over 20 years and is a trusted source for premium office seating and office furniture. With over 200,000 Aeron chairs sold we are the largest online retailer and an Authorized Herman Miller Warranty Service Center. 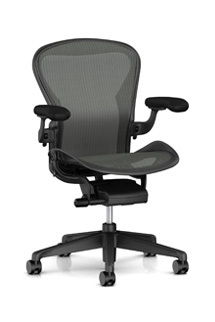 We sell the Aeron Chair at OfficeDesigns.com and Certified-PreOwned Classic Aeron Chairs at our Outlet Store. If you have any further questions about Aeron you can speak with a Product Specialist at 888.498.7133. 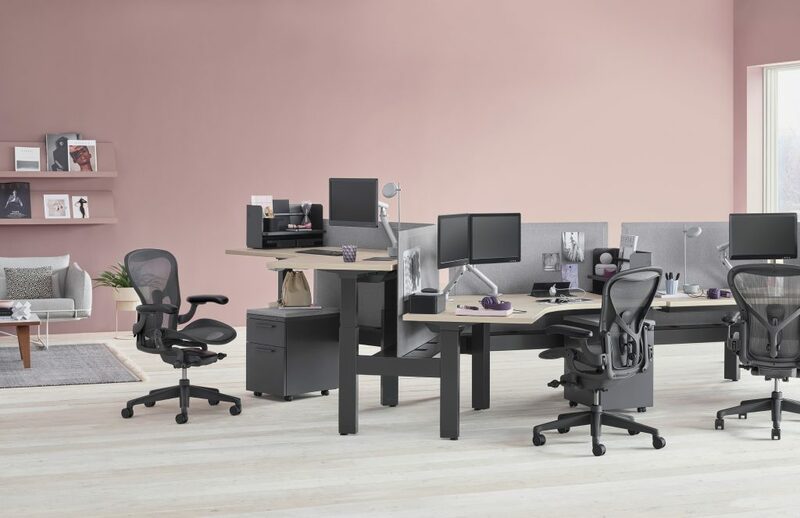 Regardless of whether a new or used Herman Miller Aeron or Classic Aeron is right for you, investing in a supportive ergonomic office chair is a great decision with lifelong health benefits. We understand that configuring your perfect Aeron can get confusing – you have a lot of options when it comes to how to build your chair. After selling Aeron chairs for over 20 years, we’ve determined the optimal configurations for every price range and use. In order to help ensure you get exactly the right Aeron for you, we’ve put together a buying guide for first time buyers. This guide will start you off with a chair that has all the most important options pre-selected based on your desired adjustability and price range and leave you with just a few minor items to choose to round out your new chair. You can view our buying guide here. Free shipping & 30-day free returns.